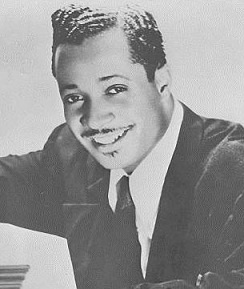 Alphonso “Sonny” Thompson was one of the more versatile all-around contributors to rock’s first fifteen years as an artist, songwriter, bandleader, producer and A&R director for a variety of labels. Born in 1916, Thompson attended the Chicago Conservatory Of Music and was got his start professionally recording on the tiny Sultan label in 1946 before joining Miracle where he was mainly playing behind other artists throughout 1947. It was the instrumentals he cut at the tail end of these sessions for various singers that set his career off in another direction when the first of them, “Long Gone Part 1 & 2” became the biggest hit of 1948, in the process launching the two-part single and establishing the slow seductive groove of rock instrumentals to act in contrast to the more flamboyant honking sides that were making waves at the same time. He followed it up with another #1 hit later that year, but soon settled into a career that took himself largely out of the spotlight, preferring instead to back other artists in the studio – most notably for King Records in the early 1950’s – but also to produce the records. He still toured and recorded however with a new female vocalist (and soon his wife) Lula Reed, scoring hits in the mid-50’s with her before taking A&R positions at Chart Records, Chess Records and then in the early 1960’s returning to King Records where he helped shape blues-rock guitarist Freddie King’s early successes. His songwriting and production credits are extensive, the number of hits he played on behind other artists were equally notable, but it was Thompson’s early instrumental hits and the influence they had on rock’s early course which remained his most lasting legacy. He died in 1989 just shy of 73 years old.